From landscaping to home renovations and many other projects, construction activities are typically busiest in the summer. And, lets not forget that it’s not just the labourers who feel the effects of more jobs and extended hours. Tools and equipment run longer hours and are pushed to their limits during the summer months. Between longer days, busier schedules and hours of overtime, routine maintenance quite often falls by the wayside. While construction certainly doesn’t come to a halt when summer ends, autumn is an ideal time to give equipment some much-needed TLC. Beyond the likelihood that it hasn’t seen a new air filter or oil change in months, some equipment may require minor adjustments to prepare for the colder temperatures and wet conditions that are coming with autumn and winter seasons. Considering how much our equipment is counted on to provide power to other jobsite tools, the portable jobsite generator is one piece of equipment that deserves a seasonal tune-up. Continuous, uninterrupted operation from a portable generator is necessary in keeping the workday productive, so it must be reliable and able to handle whatever Mother Nature throws its way. Fortunately, generators don’t require complicated, time-intensive maintenance, and most are designed to operate quite well in various weather conditions. However, they do need regular attention year-round, and a little extra care to prepare for seasonal changes. The number one rule of portable generator operation must be observed year-round: Never operate indoors or even a partially enclosed space. When the temperature drops, it may be tempting to move the generator to a warmer area such as a shed, garage or covered area. Let’s not forget that this is a dangerous mistake, as it can lead to deadly carbon monoxide poisoning. The best way to prevent accidental poisoning is to only operate a generator outside in a completely open area. Remember, that this is designed to run outdoors and built tough to handle the elements. Note that the it is a daily preventative generator maintenance to check the oil before every use and a seasonal tune-up takes this one step further. When colder temperatures are on the horizon, the oil must be changed to the appropriate viscosity. If the temperature drops unexpectedly, before the oil has been changed to the ideal viscosity, no need to panic. Simply turn off and move the machine to a warm space, and then change the oil. To save time and eliminate potential issues from having the incorrect oil, many manufacturers recommend using multi-viscosity oil, which is designed to recognize the outdoor temperature and adjust viscosity accordingly. Regardless of what type of oil is used, regular oil changes will keep the engine going and the power flowing. Checking the fuel level is also a daily, pre-operation practice, and especially important during cold weather operation. Condensation can occur inside the fuel tank and cause engine problems – especially in colder temperatures – so top off the tank and make it a habit to do so before daily operation. 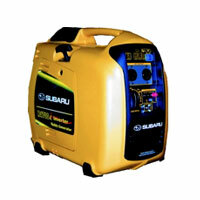 Be sure the generator is shut off before refueling and use caution to prevent spills. If the air filter hasn’t been cleaned or changed all summer, take the time to do so now that this is top of mind. Check to see if it’s dirty or clogged, and change or clean as necessary. Ideally, filters should be cleaned about every 100 hours or so and changed on a monthly basis. Finally, conduct a seasonal inspection of the spark plugs. There aren’t special spark plugs designed for colder weather, so just check that they’re clean and free of dirt, carbon build-up or damage. A wire brush or spark plug cleaner may be used to remove any excess dirt or carbon, and be sure to replace any damaged or cracked plugs immediately. Even with adequate pre-season preparation, normal generator operation can be interrupted due to sudden weather conditions. Knowing how to react and troubleshoot problems will prevent excessive downtime. 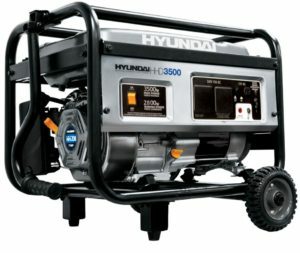 As stated previously, generators actually run very well in cooler weather. However, the damp conditions that often come with rain and frosty days (snow in areas where this can fall) can cause problems for the carburetor, crankcase and breather system. If cold or freezing rain begin to fall, place a protective awning or tarp a few feet above the unit. This will protect it from snow and ice intrusion and potential damage to the engine – while still allowing adequate ventilation and eliminating the risk for carbon monoxide poisoning. If the generator’s operation slows or stops completely, or it begins to smoke, it’s likely moisture has built up and created icing around the carburetor. This is a fairly common problem during severe weather operation, especially in cases where the generator is being used as back-up power during a snow or ice storm. If this happens, shut down the generator and move to a warm, dry place until the ice has melted. Be sure to wipe off any excess moisture to prevent electrical shock hazards. If it’s known at the time of purchase that the generator will be running in cooler, damp weather, it will beneficial to choose a model from a manufacturer that offers a cold weather kit. A quick seasonal tune-up can be the difference between worry-free generator operation and a lot of frustration and downtime in the coming months. Taking the time to perform a little preventative maintenance and prepare the unit for the upcoming season will pay off and ensure the generator is able to handle continued heavy workloads – and even the most extreme weather conditions.